Roadrunner Records group KVELERTAK have released the official music video for “Svartmesse”, from their celebrated new LP Nattesferd which arrived this past May. The video, which was directed by Torjus Førre Erfjord of Raindog Films, is streaming now at www.Kvelertak.com and on the band’s official YouTube channel. Watch it on KNAC.COM right HERE. 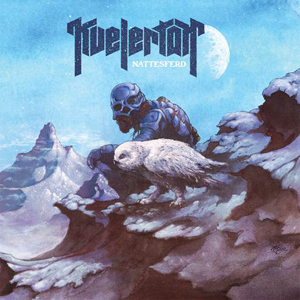 Recorded live in Oslo, Norway’s Amper Tone Studio, Nattesferd is produced by KVELERTAK and mixed/engineered by Nick Terry. It is the first of KVELERTAK’s albums to be recorded in their home country of Norway. Nattesferd follows 2013’s Meir which made a stunning international impact, earning the six-piece numerous “Best of 2013” honors. Both Rolling Stone and SPIN placed Meir at #2 on their ‘Best Metal Albums of 2013’ recaps, while The New York Times’ Ben Ratliff picked standout track “Spring Fra Livet” as one of his ‘Top Songs of 2013’. Additionally, Meir landed at #15 on Stereogum’s ‘50 Best Albums of 2013,’ and came in at #4 on Revolver’s ‘20 Best Albums of 2013’ list.